One of the first things many guys do when trying to pack on more muscle mass or gain weight is to buy a weight gain powder. These bodybuilding supplements have been around along time and all of them promise a high calorie shake packed with muscle building nutrients. The problem is with so many mass gain supplements available its hard to tell what is the best weight gainer on the market. The answer may shock you but none of them are very good in my opinion. This is the reason why we recommend them for you. Aside from being very expensive most commercially made weight gainers have many inferior ingredients and are also loaded with other chemicals and compounds to preserve the product, add flavor and basically add useless calories. 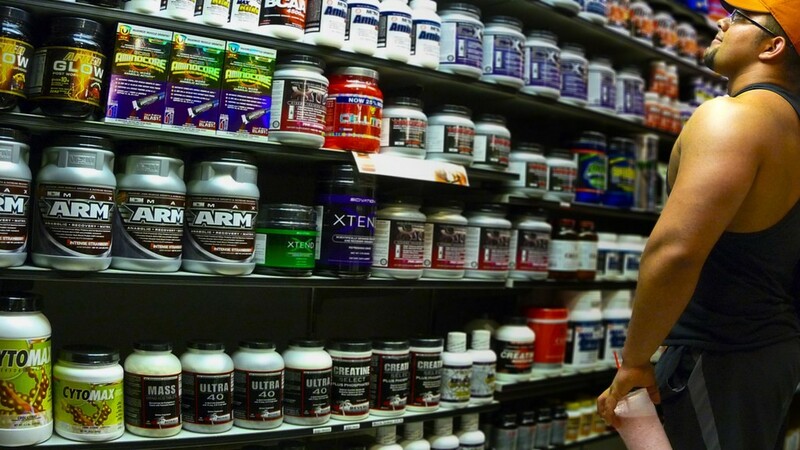 In The end most supplement companies are only concerned with getting the most profit per scoop from their product while keeping it in a certain price range and not the overall effectiveness of the product. If you really want to have the most effective weight gain shake then you should make it yourself. When you make your own mass building shakes you can tailor them to your particular needs as well as save a ton of money. I’m sure right now you are looking at the screen and thinking how do i make my own mass gain shake, well its not hard and i will tell you how to do it below. First you need a good source of protein, whey protein powder mixed into whole milk works great, if you are lactose intolerant you can use lactaid. I like to use this combination because its inexpensive, and high quality. I like to start with about 1 scoop of whey powder in 16 ounces of milk. Next you need a good source of carbohydrates. I like to use oatmeal. Now just don’t drop a big clump of dry rolled oats into your shake. If you do that i will be hard to chug down. Instead put them into a coffee bean grinder and grind them into a fine powder, this takes about 20 seconds for a quarter cup to become a fine powder. This will make it easy to ingest them and you will hardly notice them in your muscle mass building shake. Like to use 2 cups of rolled oats, after i grind them into a powder i add them into the milk protein powder mix. So right now you have a pretty natural homemade weight gainer that has enough calories, protein and carbohydrates to fuel your muscle growth without breaking your wallet. The best part about this shake is you can tailor it to your individual taste and nutritional requirements. You can even throw a banana in the shake or some spinach and process the whole thing in a blender like the Ninja Blender and get the benefits of fruits and vegetables as well. You can also add other flavor enhancers like peanut butter, honey or whatever else you can think of. The sky is really the limit when it comes to making a mass gaining shake at home, give it a shot and see how you like it.